Lea Hough will work with schools and academies to prepare a long-term planned programme of works over a period of years. Such plans could include smaller maintenance jobs, through to refurbishment and alteration schemes and the development of new-build blocks, all as part of phased works over a several year Development Plan. We will work with the school, to establish their “wish list” and also appraise the condition of the school facilities ourselves to identify the priority projects and implement a realistic plan. Our role can include: assessments of suitability of facilities in terms of classroom sizes, toilet provision, dining room space, condition and efficiency of services installations, security and safeguarding issues, external grounds and play surfaces, etc. 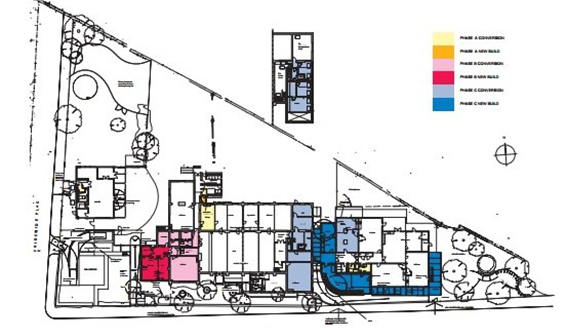 We can prepare schematic drawings, budget estimated costs and a programme/timescale for works over a period of years as part of a long-term relationship with the school or academy. Our expert team will handle everything from start to finish taking the entire process away from the school staff but communicating in plain terms on a regular basis how the project is progressing through regular visits making ourselves available with open, transparent communications.